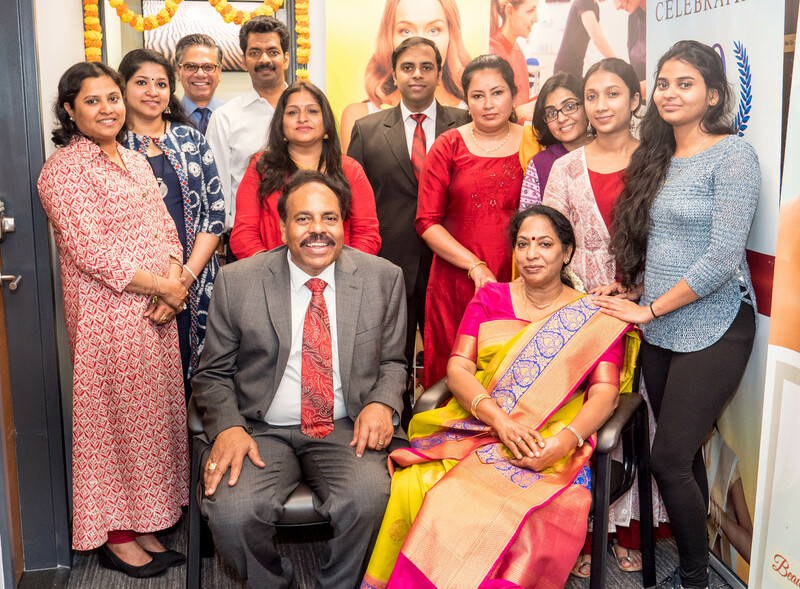 Dr. Gopinathan Nair, Founder and Chairman of Santhigram Ayurveda Group (sitting on left) with guests and staff members, at the inauguration of the Santhigram Center in New York City. The center has Consultation Room, separate treatment rooms for both male and female clients equipped with ayurveda equipment and fixtures imported from Kerala to ensure genuine Kerala Ayurveda therapy is imparted as per the ancient treatise of Kerala Ayurveda. The center is staffed with qualified and experienced Ayurveda doctors and Panchakarma technicians, and specialist consultation with Chief Holistic Consultant Dr. Ambika Nair is also available with prior appointment. With its location just one block from Grand Central, Santhigram has fulfilled the long standing demand of many of their clients in Manhattan, for an easily accessible center for their wellness needs. Nair, in his speech, expressed the view that the unique services brought by Santhigram to Manhattan will definitely help many people who are looking for holistic remedies for treating their various chronic health issues. 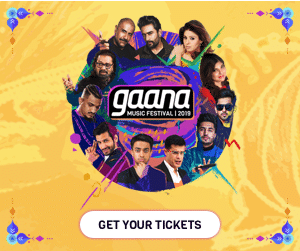 Abraham and other dignitaries who spoke on the occasion applauded the Ayurvedic services being provided by Santhigram which had already been benefiting hundreds of people on the East Coast and Midwest where Santhigram is operating nearly a dozen centers for the last more than 10 years. 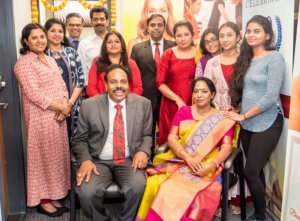 Dr. Gopinathan Nair, Founder and Chairman of Santhigram Ayurveda Group, took the opportunity to thank patrons for their support to Santhigram over the years.